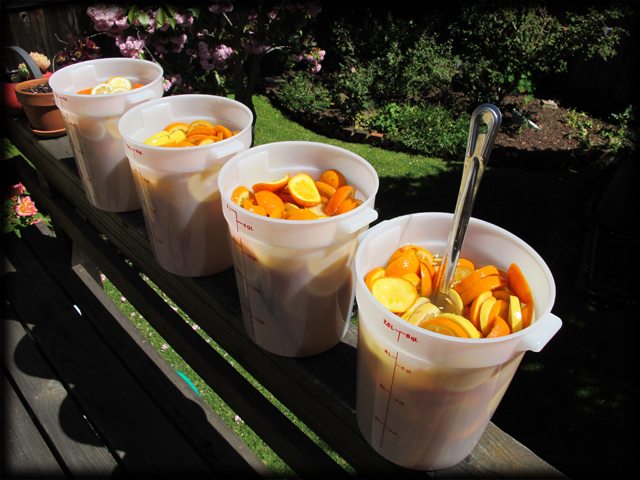 Over the weekend I had the occasion to serve some of the vin d’orange I made at the end of 2009. I actually hadn’t realized it had been over a year since I made this and reported about it on this blog. (If you are one of those people who are always making something new, you know the results of your old projects tend to get lost, which is what happened here.) Since then the vin has undergone several very wonderful changes in color and flavor. It’s developed a distinctly deep orange gold hue. Scott Beattie described it as being like padparadscha, a kind of orange sapphire. The flavors have merged with the bitterness, which was pretty dominating when it was younger, finally coming into balance against the citrus and sugar. It’s also developed a slightly oxidized or “rancio” like character, probably from the extended aging. (Note: it’s been kept in glass but not in bottles filled to the brim.) 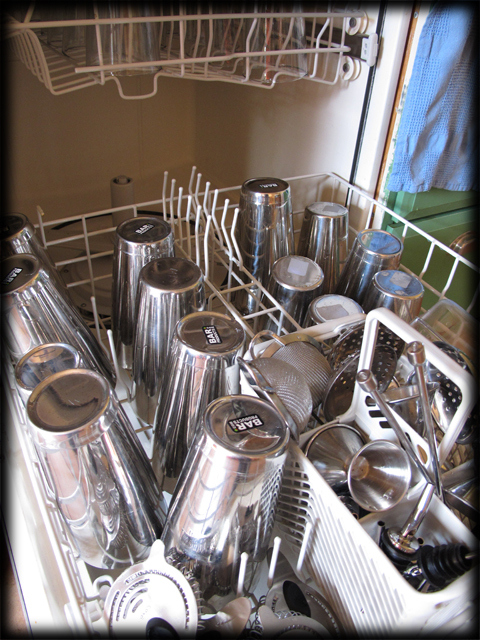 It’s a total pleasure to drink, neat or over ice. Knowing that there were still some Seville oranges to be had, I decided to put up some more vin d’orange before they disappeared for the year. I decided to go a bit crazy and put up four times as much as I did last time—I’ve got some plans for this. Stay tuned. Part one of an investigation into achieving balance in spirits-driven cocktails. What this cocktail needed was a major rethink! First, this single ingredient is capable of providing a very wide spectrum of flavors. 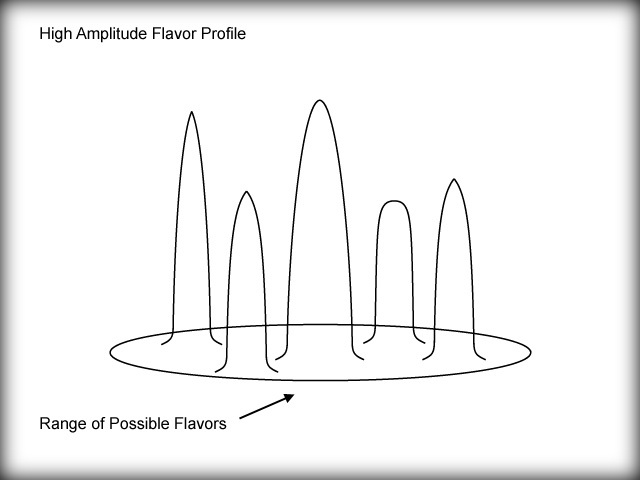 It has what I believe flavor chemists call high amplitude, where “amplitude” is defined as the total effect of flavor and aroma in a food. 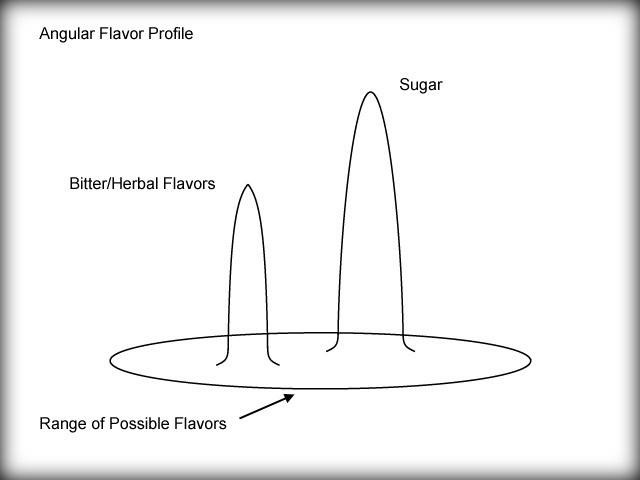 The higher the flavor amplitude, the more broadly it stimulates our taste buds. (Ketchup is the classic example of a food which has high amplitude.) So including vermouth in a cocktail provides a big flavor bang for the buck. Depending on the brand of vermouth used, it tickles pretty much every major flavor receptor in some degree. Second, neither of the ingredients I used in place of the sweet vermouth provided any significant amount of acid. If you think about all the different sorts of ingredients one uses in spirits-driven cocktails, you can see that while it’s easy to get sugar into the drink, its much harder to get acid to balance things out—that’s the brilliance of citrus in a sour. Vermouth, being based on wine, brings acid along with all of its other flavors. In addition to balance, that acid also helps heighten our experience of all the other flavors as well. It seems pretty obvious that when we replace vermouth in a spirits-driven cocktail, we’ve got a pretty tough act to follow. It’s kind of a super-ingredient: complex flavors and acid. In The Criollo cocktail, I had found a way to bring complex flavors together (there’s plenty going on in there) but I had lost any acid that might balance against the additional sugar in those ingredients. Obviously I could try adding back some vermouth to fix The Criollo and re-balance it. That seemed like going backward. What I really wanted to know is what other options I might have for bringing acid into a spirit-driven cocktail. It was time to do some serious science! 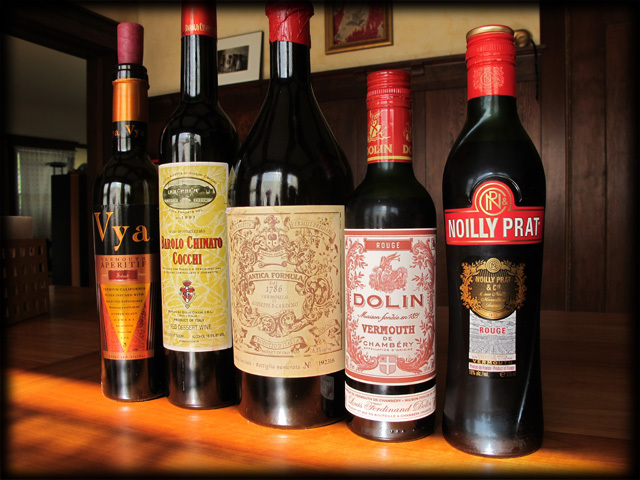 [*] – Vermouths evaluated were: Carpano Antica, Dolin rouge, Noilly-Pratt rouge, Vya sweet, and Cocchi Barolo Chinatto. Technically the latter isn’t a vermouth but it can certainly be used as one and I happen to have an open bottle. 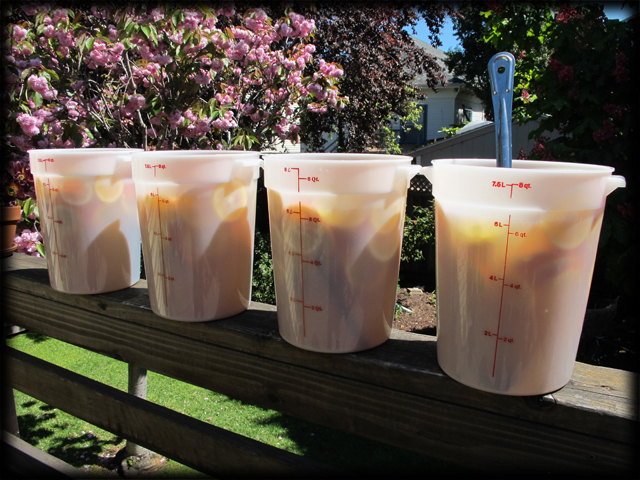 A little update for those of you who might be following the story of the East Bay Study Group’s recent tasting of barrel samples from Heaven Hill. First off, Ed agreed with the group’s appraisal of the samples and also agreed that purchasing two barrels made a lot of sense (especially given how fast the last barrel sold out). Second, the group has been informed by Heaven Hill that the selected barrels have been dumped and bottled. Product is making its way west from Kentucky as I write this. It should arrive within the next few weeks and show up on the shelves @ Ledger’s sometime thereafter. 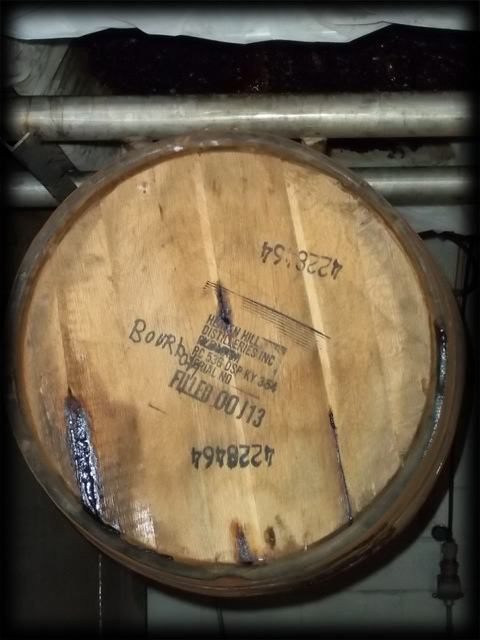 Below is a photo of one of the barrels as it was dumped. 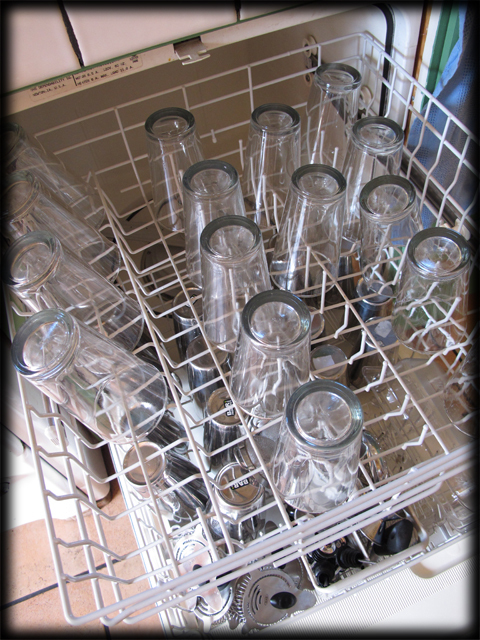 Does your dishwasher look like this in the morning?